What Is Emerald Coast Social Sports? 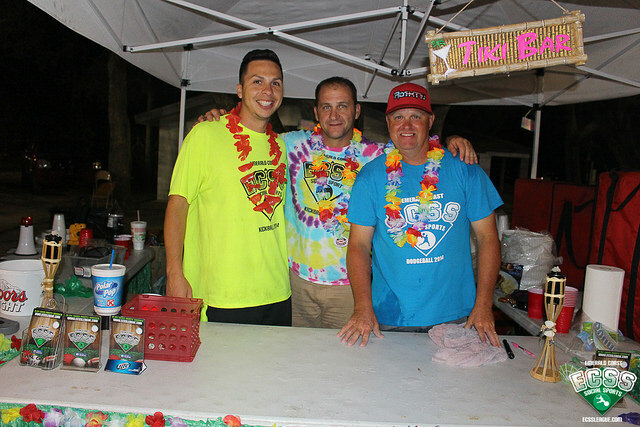 Established in 2013 by Jim Bay and Matt Pacheco, Emerald Coast Social Sports (ECSS) was created to bring out the inner child in us all, by playing sports and having a good time with old friends and new! Gathering for an official league night , members can sign up for various sports leagues throughout the year. After each game, players head over to our league sponsor bars to celebrate, reminisce, and most importantly get to know their fellow ECSS members. ECSS general leagues last 8-9 weeks, including playoffs and finals. Mini leagues run 4-6 weeks. ECSS Shirt (one for each registered league). Membership card good for discounts with all other ECSS sponsors year-round. Players receive special discounts on league night (the night games are played) at our locally sponsored bars for each sport they play. ECSS members receive member discounts at our sponsor locations.